Nikki J. – 05.20132- I don’t usually bother with sending feedback on services I use but it felt right this time. Moved in Liverpool recently from the US of A. Rented a basically empty house, had to buy some furniture. That’s when I heard about “IKEA Colection” as a service. I like it :. Karl H. – 09.2012 – My wife has been asking me for to sort out our garden for some time now. I decided I wanted the job done properly but didn’t have the vehicle to transport the building materials and the couple of benches I decided to put there. Lucky for me I stumbled on manwithvanliverpool.com while googling. I strongly recommend their services. James M. – 01.2013 – It’s always good to meet honest and dedicated service providers. Although I was a bit sceptical at first I must admit the quality of the moving service was perfect. Punctual, fast and professional. No complaints, will use again. Ally M. – 04.2013 – I’ve always said that assembling the furniture is a man’s job. Which is a problem for a single mom who just saw the perfect wardrobe in a furniture store. A friend recommended the “man with van” services of manwithvanliverpool.com so I tried to risk it and now I’m very happy with my decision. Rick J. – 08.2013 – Not much to say really. Good service – the support team helped me decide what size and how many vans I needed, the movers came on time on the set date. The move was finished in a couple of hours and everything was in my new office in one piece. I’ll recommended the company to my friends. 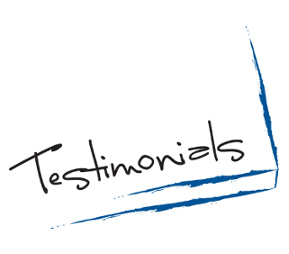 Janine L. – 11.2013 – I’m very satisfied with your service. Very accurate and professional. It was a delightful surprise to to deal with a moving company that actually can take care of packaging the items that are transported. There were just too many for me to pack by myself. Thank you. Mitch C. – 02.2014 – Back home in America, Brits have a name for being extremely polite. You fellas sure live up to the hype. The guys that came to help me move a couple of servers to the second office our company opened in Liverpool sure were friendly. And they were careful, too – not a scratch on either machine. Impressive.